Have you been scouring the internet for the best deal on great D.O.T. UTV tires? You've come to the right place then! Side By Side Stuff has a large selection of UTV tires to meet a wide range of wants and needs. The D.O.T. 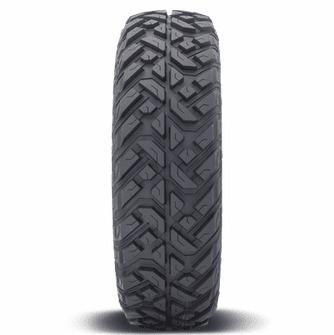 Approved Fuel UTV Gripper T/R/K 10-Ply Tire is a great option for upgrading your ride. Available in a variety of sizes, there's sure to be a perfect match for every UTV enthusiast! 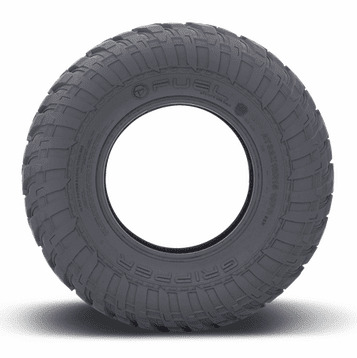 Fuel's tough 10-ply radial tire comes complete with new puncture resistant technology ideal for off-roading. The synthetic Aramid fibers added to the sidewalls greatly increases the the side wall strength preventing damages during UTV excursions. These aftermarket UTV tires are also D.O.T. rated for cruising on the streets. 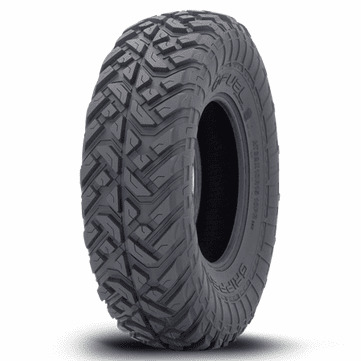 Whether you have a Polars RZR, Can Am Maverick or Yamaha these strong tires will get you where you need to go safely.